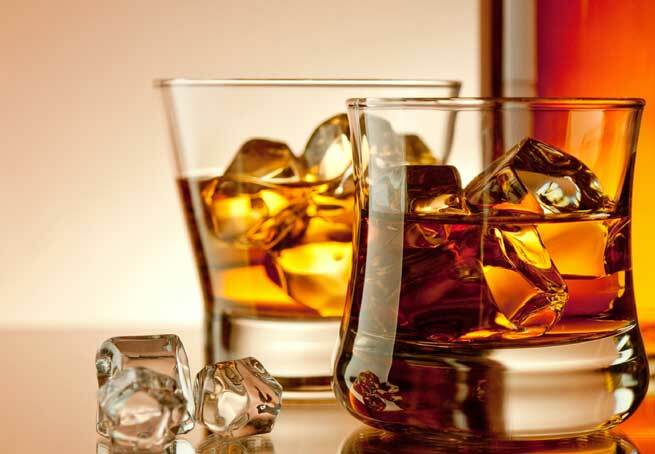 Whisky might be a taboo at your home, but not when you are using it for external purpose. Yes! We are talking about the benefits of using whiskey for skin treatment. That bottle of scotch whiskey can really work wonders for your skin and gives you lustrous and youthful skin. You can get expensive whisky facials done at beauty centres, but we give you some wonderful ideas to use whisky at home and make your own face packs. It has been proven that when you add a small quantity of whiskey with your regular beauty enhancing natural products, your skin gives better results. Whiskey in no case should be used in its neat or pure form on your facial skin. You should always mix it with other ingredients. Even water can be used along with whisky. Also remember that the proportion of whisky should always be the lowest. Just a dash or a teaspoon is enough. Before you apply whisky on your face, it is advised that you apply on other part of your body to check whether its suits your skin or not. Do not keep the face pack made with whisky on your skin for longer duration. Once it is dry, it should always be removed. Although it gives stunning results, do not overuse it. It should be used only for special occasions. When you mix whisky with simple and readily available ingredients at home, the effects multiples and you can get astonishing results. Here are some simple face pack ideas to team with whisky. To make this wonderful mask, you can take a spoonful of honey and add few drops of whiskey in it. Mix them well and apply on your skin and gently massage it for some time. Keep the pack for 15 minutes and then rinse it off with water. Your skin will feel moisturized and this also helps in tightening your skin giving a youthful look. It is easy and simplest form of face pack with wonderful benefits. Take half a cup of water and add 2 teaspoons of whisky. Now with the help of a cotton ball apply on your face in circular motions. Keep the face pack for 10 minutes and then wash it off. Your skin will glow and look smooth. These are the few ways in which you can make good use of that whisky bottle at your home. Try out and share your results with us.